I got in late from work this evening, so did’t really have much time to do a spot of crafting… but at half past 8 I decided i would have a sneaky wee hour up in my shed. 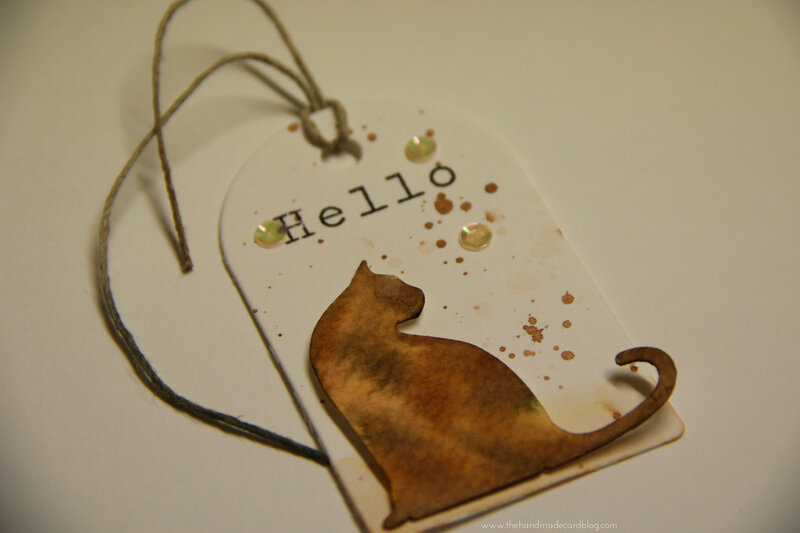 I also cut out a cat in water colour card stock using a memory box die, then I gave it a good covering of water and added drops of watered down distress stain.. the result gave me a tortoise shell coloured cat, and it looks just like our very first cat! 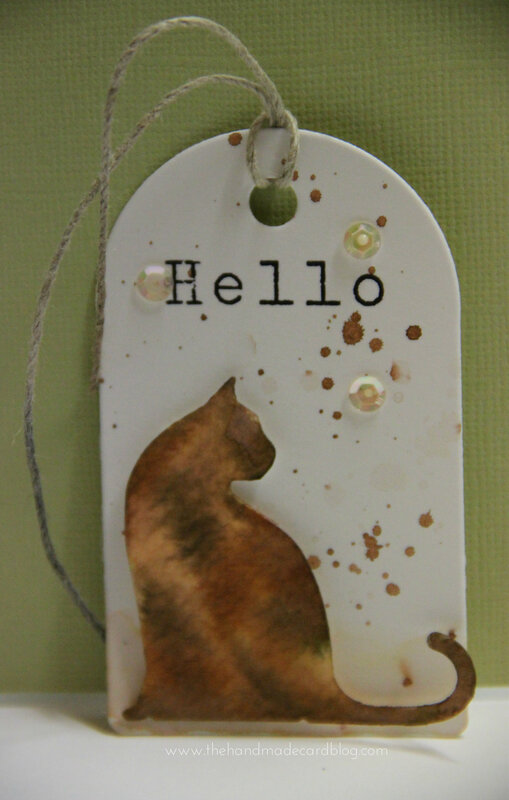 I think your cat is beautiful it matches the hole tag I love it . Rita. I love the colors on the cat! Adorable tag Sarah! Lovely Sarah! You made a fantastic “wee” tag with your hour I love it!